Delight your guests and make your next gathering just that much simpler by having the main dish taken care of in advance. 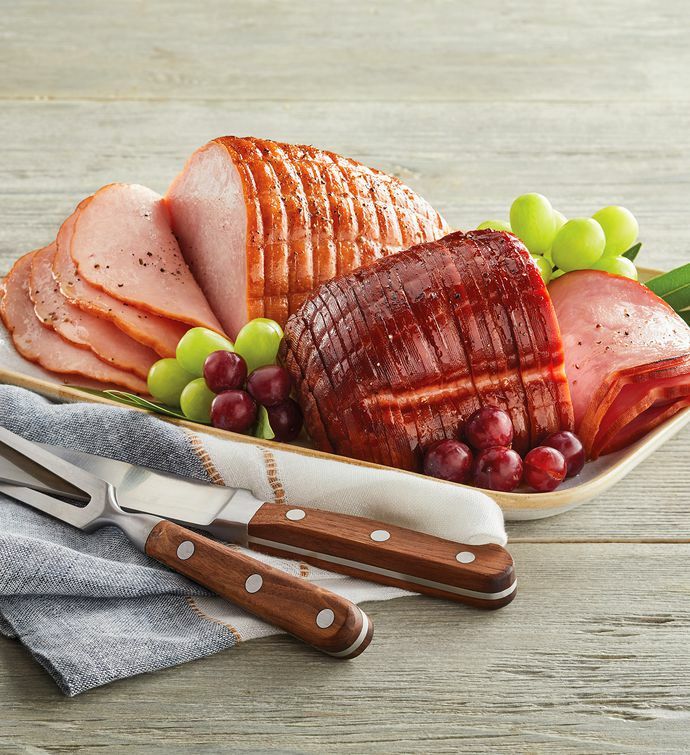 This gourmet Sliced Ham and Turkey entrée arrives cooked to perfection, ready to heat and serve. The meats are lightly smoked and seasoned for a mild, delicate flavor, and we've included an optional honey glaze to add for a touch of sweetness. This classic holiday entrée makes a juicy and delicious addition to your next celebration.